STRATEGIC THINKING IS A LEADERSHIP IMPERATIVE - IN ALL TIMES. Sloan International specializes in helping executives learn to think strategically — anywhere in the world. Curious about what strategic thinking really is? We offer one-day learning labs for emerging leaders that strengthen participation in strategic discussions. Need a framework for strategic initiatives? Our two-day learning labs for experienced leaders provide a conceptual framework that strengthens strategic thinking ability. From Beijing to Boston: Are all your business leaders on the same strategy page? Our three and four-day learning labs get leaders from around the globe on the same strategy page. Need to jumpstart strategic thinking at your company? Our conference speeches, corporate forums, and association presentations give managers and executives a unique perspective on strategic thinking. Want to link talent management to strategy development? Our learning labs can be integrated into your current executive development programs. Julia is a premier thought leader in the area of strategy. She brings conceptual clarity and true originality to a topic that is enormously complex. We credit Dr. Sloan's strategic thinking approach to our successful Japanese and German acquisitions, and to saving one of our US business lines. She's a rock star around here! Her take on strategic thinking is right on the mark — creative, practical and wicked fun. We work with some of the largest, most innovative, and highly successful companies in the world. Our confidential client list spans all facets of the Fortune rankings. Strategic thinking has become a core competency for business leaders globally. Over-used and under-defined, the term is often used interchangeably with strategic management. 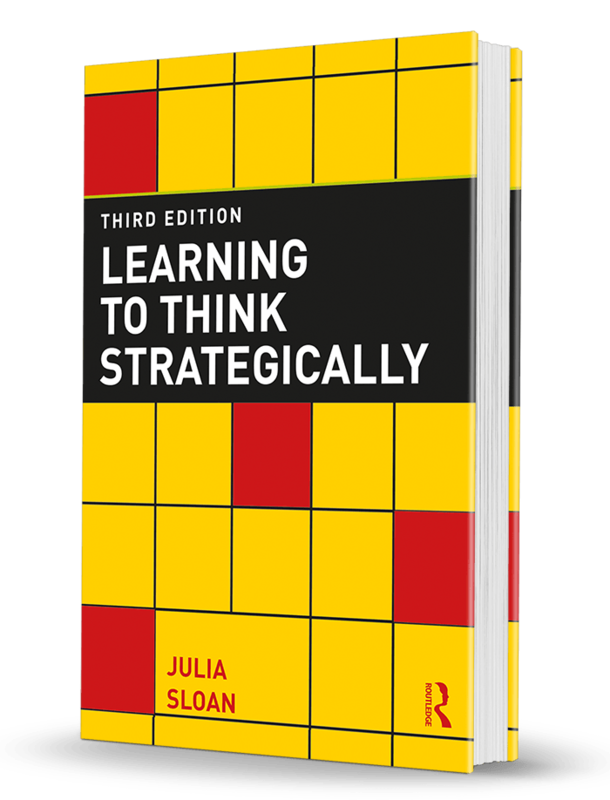 This textbook delineates and defines strategic thinking as a conceptual cognitive capability. Don't Miss My News Updates! Receive an email each month that will help you develop key strategy attributes in order to create innovative, winning strategies.